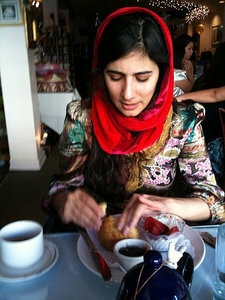 Farnoosh Fathi was born in 1981. Her poems, translations, and prose have appeared in Boston Review, Fence, Everyday Genius, Poetry, Jacket2, and elsewhere. Great Guns, her first book, was just published by Canarium Books. She lives in Oakland, CA.